It is rare that the phone conversation when booking makes such a difference to your meal as a whole. Tonight, Catherine and I, were tossing up several options including hopping on the train to the city. We ended up at Noi Thai, pleased to have an early dinner booking at late notice, and rapt with the BYO wine option that was explained to us on the phone. The care shown in that conversation translates into the friendly and adept service throughout the evening. 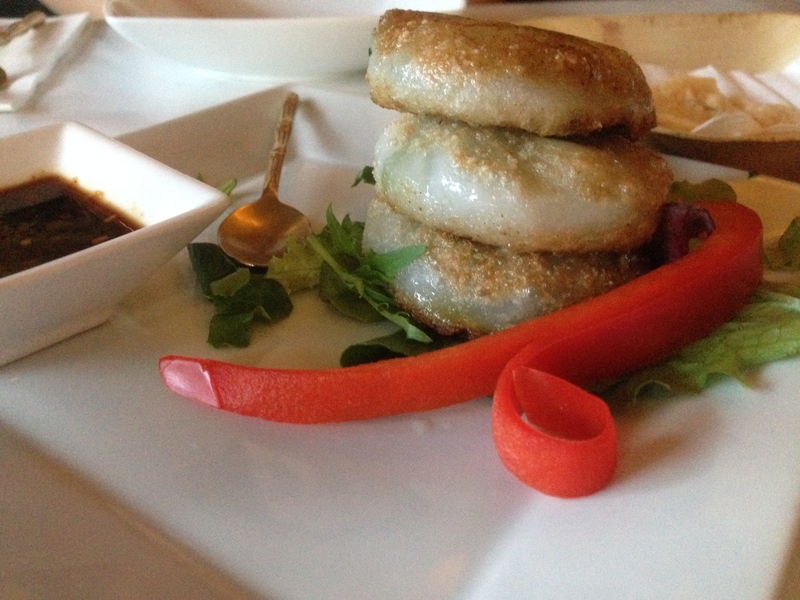 Noi Thai had been suggested to us by other locals several times. It has been around for many years and continues to have excellent support and patronage. The menu is definitely more traditional Thai, rather than the now popular (and expensive) modern slant. With the meat samosas off the menu tonight, we decided to try Aunty Moo’s chive dumplings. The dumplings are an interesting take, with the usual gelatinous texture, but also lightly crumbed and briefly shallow fried. They are nice but next time I would order differently. 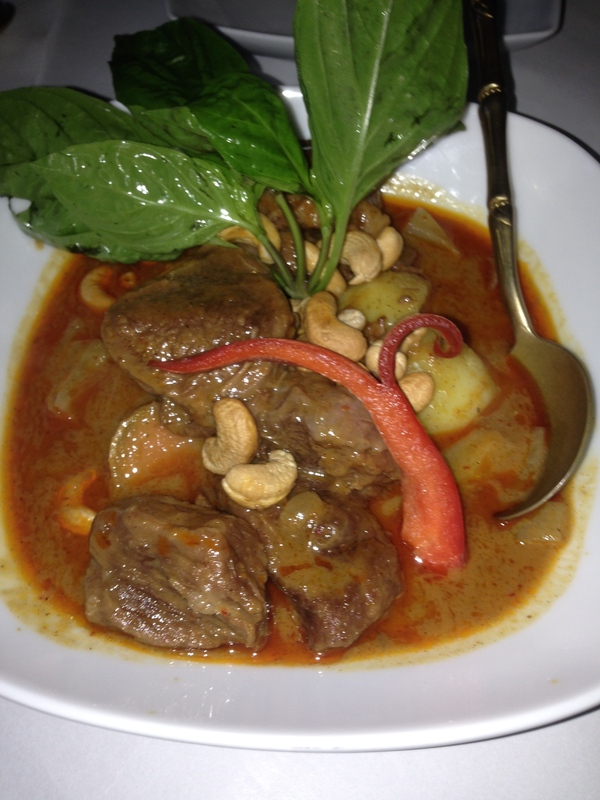 We really feel like curry tonight and we don’t hesitate to order both the beef massaman curry and roast duck curry. The beef massaman has large chunks of beef, which easily shred with tenderness, though the middle is a touch dry due to the size. The sauce is gorgeous and this curry is Catherine’s favourite for the evening. Whilst fairly hot, the roast duck curry is definitely my favourite for the night. 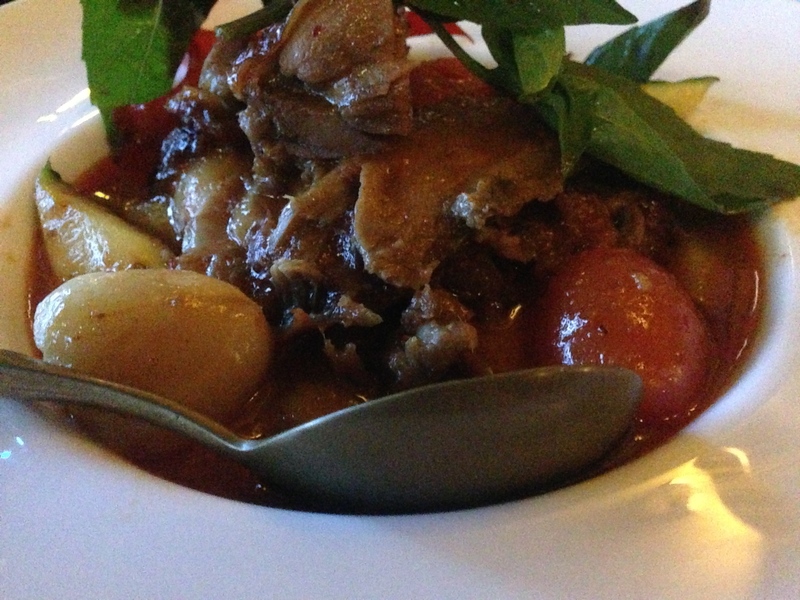 The duck is beautifully cooked and generously served, with delicious spices. There are a couple of surprise lychee and pineapple pieces that are not described on the menu (and probably not needed), but the dish is superb and a speciality of the house for good reason. The BYO option makes an already affordable restaurant a cheap night out. There is no doubt why Noi Thai is a favourite amongst locals and the only disappointment I have is all the years I’ve overlooked it. Out of all the incredible snacks in bread available around the globe, one of my favourites is the original fusion of cultures delivered by the “bahn mi”. Somewhere in the last decade they popped up in Australia, with the occasional sighting here and there, and all of a sudden they are readily available across the board. Across the board, with the exception of Richmond! My cravings for bahn mi at lunch since leaving the city three years ago became extreme. 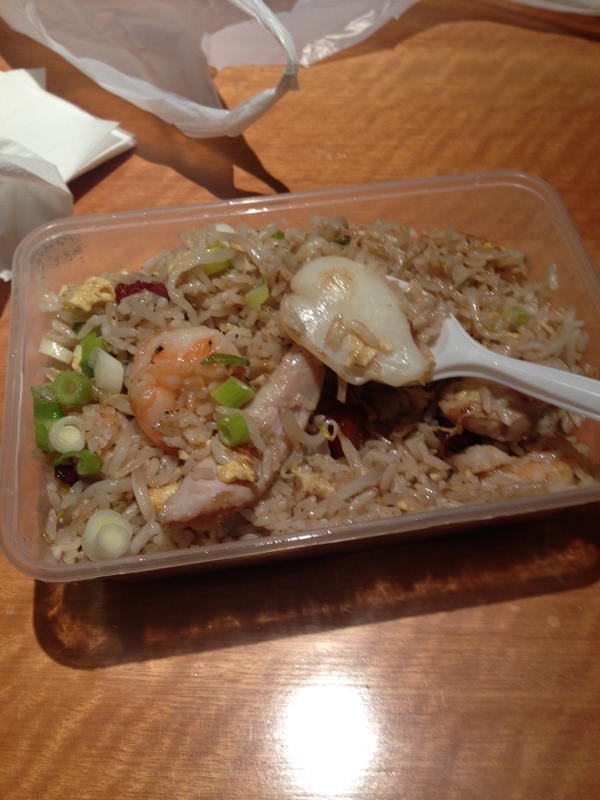 Now that extreme craving has been satisfied on a strip in Swan Street that beggars belief. Just down from Messina, Rustica, and not far from Belle’s (all taking up residence in the last year) is Nhan Ngai. NN is housed in the old Torch cafe which had a slowly eroded reputation before changing names and eventually ceasing to exist. Now, the main interior is a reasonably well formatted dine in or takeaway casual Vietnamese street food eatery. Although a little cramped and without heating, it is a good effort to fit in seating for around 20 people, and the refurb fits the script. 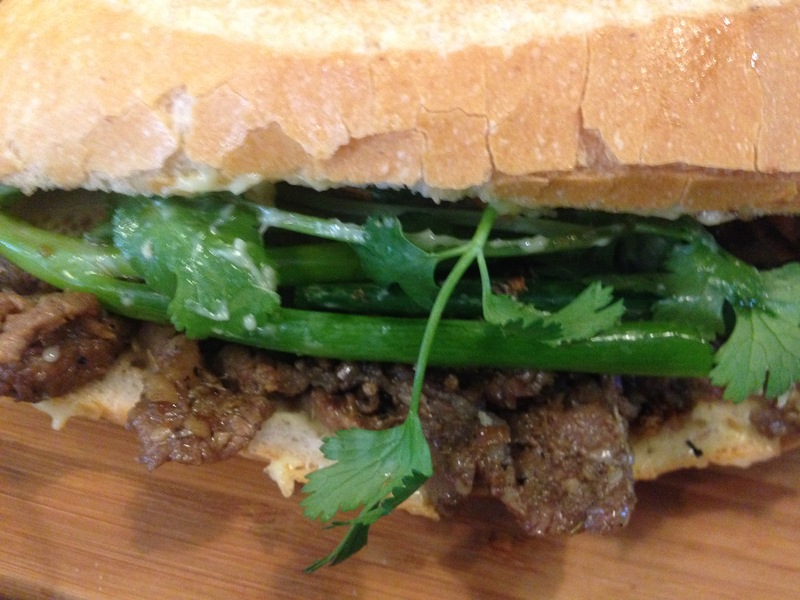 More importantly, the bahn mi is excellent, and at $8 is a steal. That classic combination of BBQ pork, pickled carrot, spring onion, coriander, and mayo in a crispy bun is executed with skill, and the BBQ pork is flavoursome, well seasoned, and tender. I’ve had two and both have been consistent. 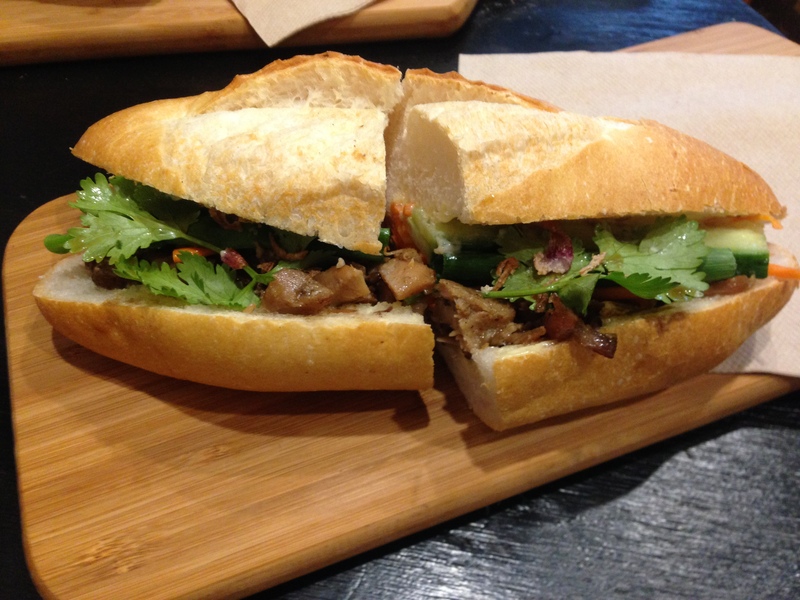 Went back yesterday (4 June) to try the NN Chicken bahn mi – it was very good too! My judgement is out on the rice paper roll I tried because unlike the bahn mi, the meat (in this case prawn) is not as generous or flavoursome, and the wrapper is a little too firm. It is hard to judge after one, so I will try some more, but definitely will turn to the NN chicken or the BBQ pork next time. On the plus side, Julie tried the chicken pho and it was given a resounding thumbs up, so that too is on the must try list. I was excited prior to NN opening, and I’m even more excited now. Having a good Vietnamese street food cafe close to home is a big deal, and Nhan Ngai ticks the boxes. Unusually, Jimmy Grants has barely been open a few weeks and I am already past my third sitting. Such is the pull of a genuine souva that every time a hat drops I seem to be back. That’s not to say that it is some impeccable gastro temple. In the end it is a comfortable place to eat what would ordinarily be categorised as takeaway style fast food, or worse, “late night snacks”! However, like many simple things in life, the ability to focus and provide the punters with exactly what they want is going to be attractive. I have decided I like Mr Papadopolous better than Nonna Maria’s souva, the lamb in my experience deeper in flavour than the chicken, but I’ll be continuing to compare. 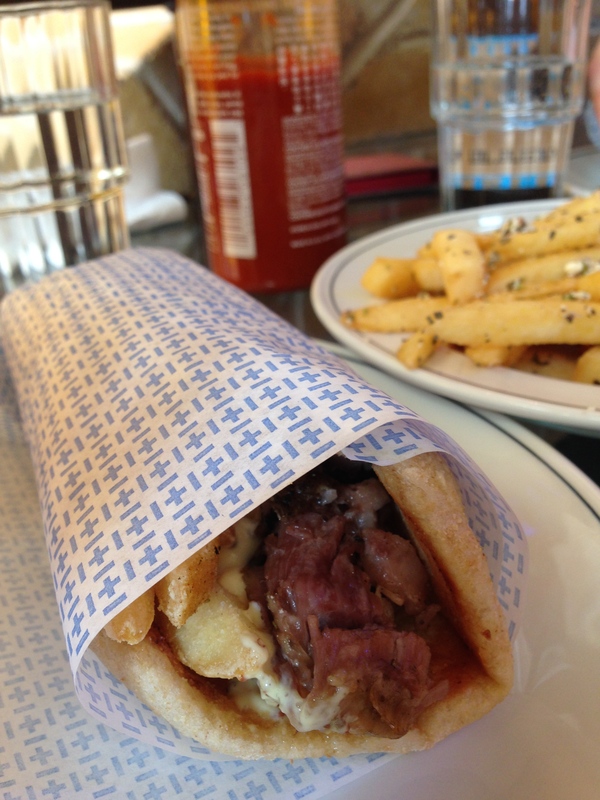 The well seasoned chips protruding from the pita on top of the lamb or chicken reminds me of my time in Athens and Santorini, and the cooked onion and parsley are enough to sustain me for lunch or a lighter dinner. The pita itself is excellent most times. 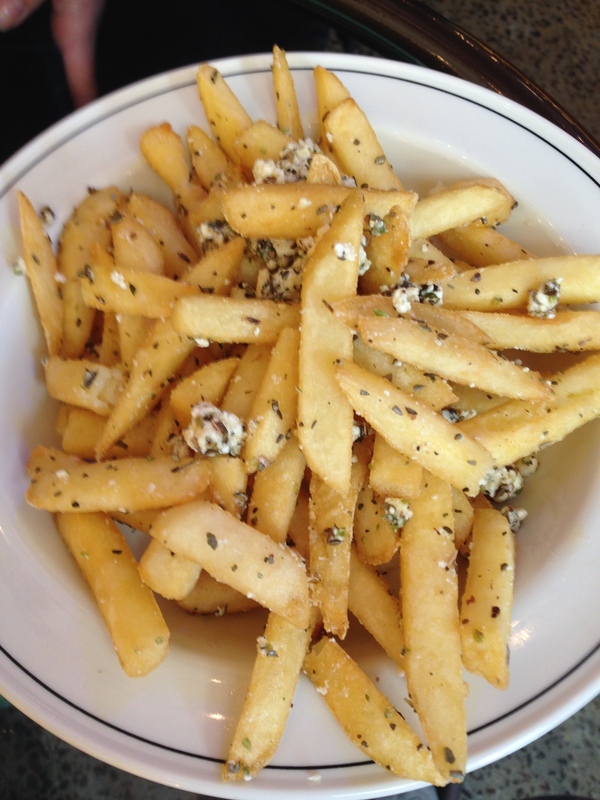 The chips have always seemed to be perfect, and when ordered as a side come with garlic oil, feta, and oregano, just to add to the guilt. If you want salad you can order it on the side, or in the souva, but I haven’t tried that yet. 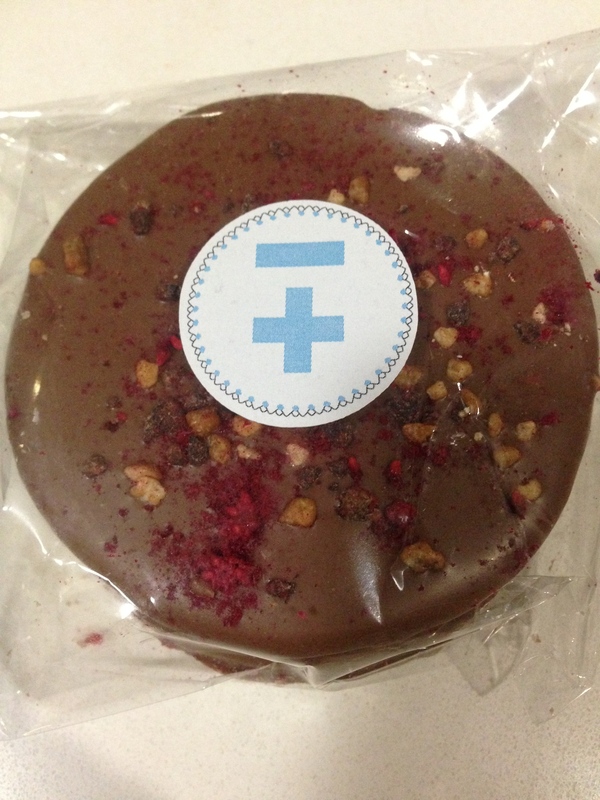 Grabbing a wagon wheel for later or immediately after is also an option. They are pretty good but for me best to share. One aspect that is much better than Fitzroy is the layout. It is much more functional given there are seemingly equal numbers dining in and taking away. Staff are reasonably good in the first few weeks but we have had one time where orders were mucked up with a quick resolution showing good initiative. One thing they might want to do less is hover. Sometimes you are still chewing your last bite when they are clearing your plate. Nice to keep a tidy restaurant, but also nice to not annoy the patrons. I have been waiting for Jimmy Grant’s in Richmond for some time. For around a year there was a sign on the wall that “Jimmy is coming” and the entrance has been nothing short of spectacular. The ability to now get off on the corner of Swan and Church and have access to Jimmy’s, Fonda, Messina, Meatball, Meatmother, and Hunky Dory, not to mention the soon to arrive Belle’s, all within a couple of minutes walk, is just heavenly. Having walked past a few times before visiting there is something enticing about the entrance to Miss Chu. The model of having the takeaway at the front and the restaurant at the back doesn’t always work but in this case there is something comforting. The fitout for this Vietnamese diner uses every inch of the long and tight rectangle room. It is funky and functional. The menu doubles as an order form immediately bringing memories of places like Tim Ho Wan in Hong Kong. While we are here for soup, there are just too many enticing dishes to completely focus there. 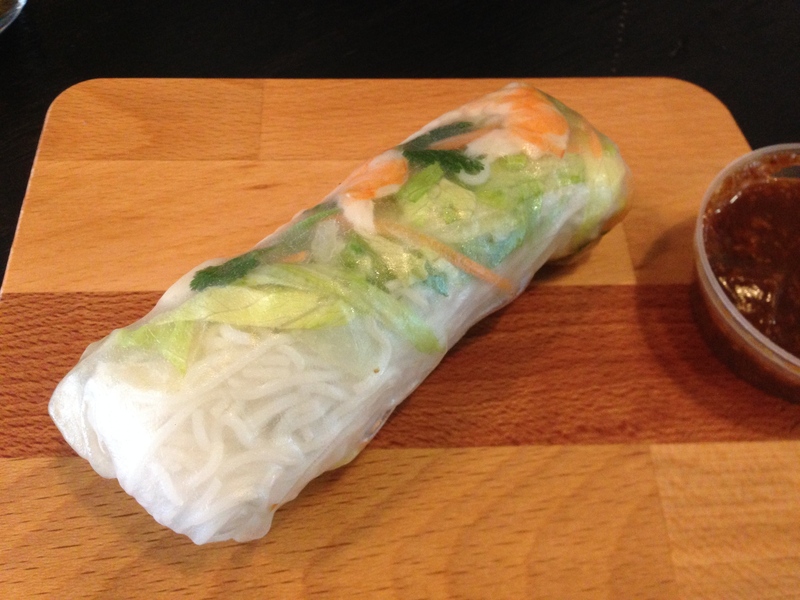 So we begin with rice paper rolls. 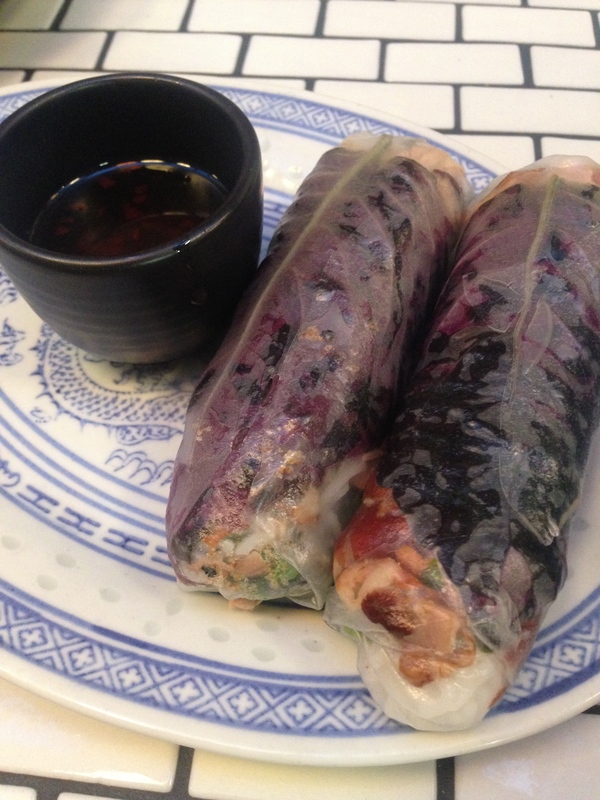 Beautiful, tight wrapped rice paper covers a generous roast duck filling. Combined with the rice wine vinegar based sweet chilli sauce you have way more than a snack. This could act as a light lunch. 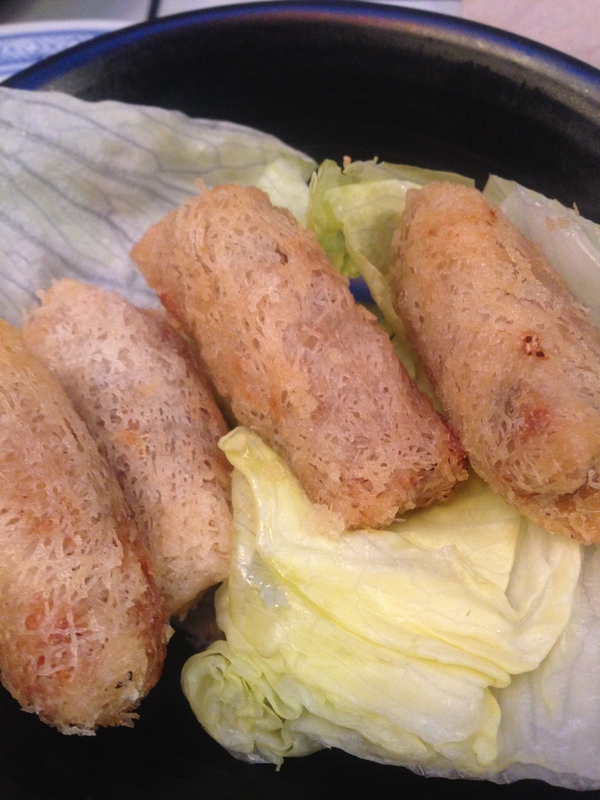 Next we try the prawn and crab net spring rolls. Again, it strikes me that you can actually taste the prawn and crab through its generousity, which should be the usual case, but just isn’t in reality. Each bite is delicious and again the dipping sauce adds a hit of heat. We now have our traditional Vietnamese pho filled with beef. 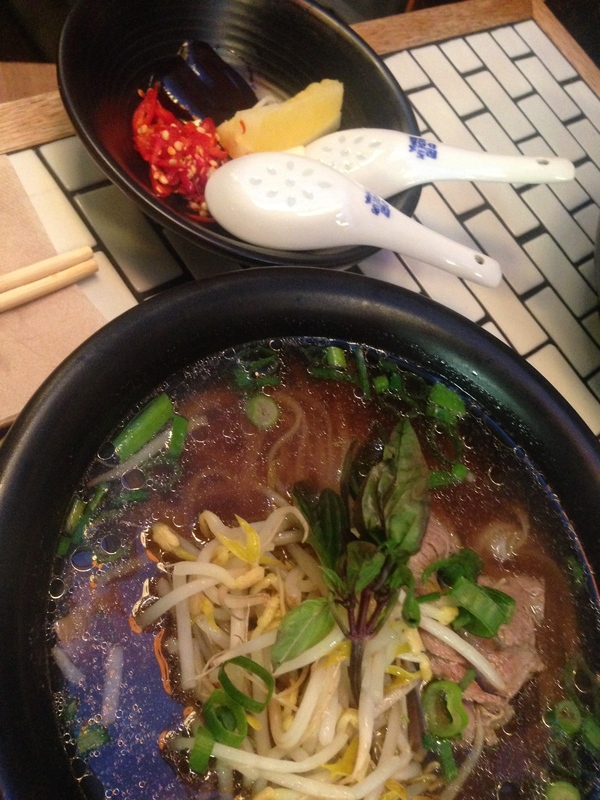 The broth is great, but certainly no better than many on Victoria Street. What does set this pho apart is the noodles which are perfectly formed and have that elasticity and texture that puts them in the exceptional basket. The beef is tender enough, but still could be cut a little smaller in the kitchen. Put another way, it’s probably not a first date dish. With a good selection of drinks available, Miss Chu provides a terrific dining experience. While you write your own order, the service is still interactive, and on this occasion, quick. For the price tag it is one of those experiences where you are already planning future visits as you slurp the last of those awesome noodles.